So, you've just taken in a shiny new iPad 2 and impressed by its beautiful display. There are several possible sources of content that you will want to convert for viewing on this big screen, and the best tools to use for the job will often be determined by the type and source of that content. The most common types of content include DVDs, downloaded digital video content (such as that downloaded from the web), content recorded from a TV using a digital video recorder (DVR), standard digital video content and home HD video movies. We will be discussing each of these content types in turn, and our recommended tools for each. One of the most common sources of iPad content will be DVDs. Although the legality of ripping the content from DVDs varies in different jurisdictions, many countries outside of the U.S. have no specific restrictions on the conversion of DVDs that you already own into other viewable formats. MacTheRipper defaults to full disc extraction, it will simply extract ALL content from the DVD. To extract a title from the DVD as a specific file, you instead need to click the “Mode” tab and choose “Title - Chapter Extraction” from the pull-down menu. The result of this operation will be in MPEG-2 format, and can be viewed through any software application capable of MPEG-2 playback, or converted using one of the tools discussed further in Part III. Fortunately, there are other end-to-end iPad conversion solutions available. DVD to iPad Converter for Mac from iFunia is the second and better option. It provides an integrated solution to preform the extraction of DVD content and conversion to an iPad-ready format. The iFunia DVD to iPad Converter program comes with an intuitive interface with 3 easy steps. You an simply insert a DVD and start the program, it will then read the inserted DVD or DVD folder, then select the iPad presets and output destination folder and click Start button. That's so easy! In addition to the ability to take content from a DVD directly to an iPad-ready format, iFunia DVD to iPad Converter for Mac also offers simple movie editings, the ability to queue up multiple tracks from a DVD, support for the finetune of video and audio settings and the ability to extract audio track compatible with the iPad. Standard Digital Video Content refers to the various types of digital content that can be stored on a computer, such as that obtained from web sites and already pre-extracted from DVDs into other non-iPad-ready formats. HD Video Content means high definition video. The HD video generally refers to any video system of higher resolution than standard-definition video, most of them are at display resolutions of 1280×720 (720p) or 1920×1080 (1080i or 1080p), and obtained from AVCHD and other HD digital camcorder. There are many free tools for iPad video conversion on Mac, like iSquint, VisualHub, MPEG Streamclip, etc. But iSquint and VisualHub have been discontinued and are no longer for sale, while MPEG Streamclip can not convert HD video content. Maybe You can convert HD video from most digital camcorders through Apple's iMovie HD application included in iLife '06 or above. But iMovie does not provide any additional default presets for higher-resolution iPad,also the conversion times will be quite slow as it uses the underlying Quicktime engine. So far the best option for HD and SD video conversion for iPad maybe iPad Video Converter, still from iFunia Corp. It's designed specifically for Apple's new tablet, provides standard presets for iPad encoding, as well as simple video editings. For the average user, the main iPad Video Converter screen is nice and clean, providing just the necessary basic functions. You can simply drag in the content that you would like converted, selecting your basic output options, and hitting the conversion button. Another type of content that many iPad users will want to convert is content recorded from broadcast television sources, such as over-the-air, cable, and satellite programming. This content can come from a digital video recording software installed directly onto a Mac, or from an external DVR such as a Tivo, and EyeTV allows for the handling of either. 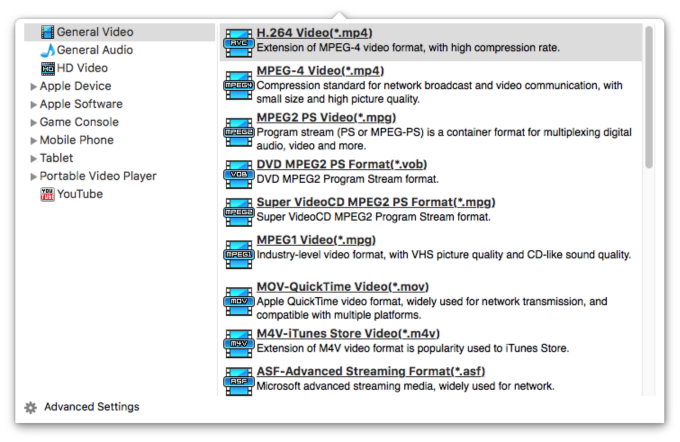 EyeTV is probably the most popular solution for recording TV content on a Mac. Selecting a show from the online TV guide will have the advantage of ensuring that the particulars of a given recording for you, and when scheduling a recording, you can also tell EyeTV to export to an iPad format immediately after it finishes the recording. The converted video will also be automatically imported into iTunes with the correct name, description and show tags filled in from the TV guide information, ready to be synced to your iPad device. With the iPad's new release, the number of options and conversion tools wil continue to evolve. This article is not intended to be a comprehensive guide to every single possible tool available, but simply to provide some information on the more popular tools that are used for the various types of content and video conversion projects and provide some guidelines on the methods for obtaining the best results from these.